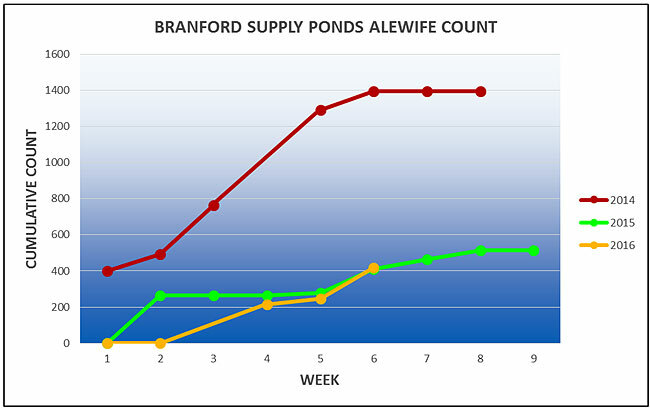 The alewife run is continuing with 170 fish counted last week, bring the year-to-date total to 416, almost exactly the same number as last year at this time. Alewife numbers are somewhat low statewide. DEEP suggests that even though river temperatures are warming, water levels remain low, discouraging fish migration. 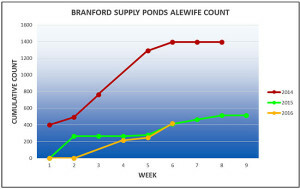 This does not seem to have affected the alewife run in Guilford’s East River -1,380 fish last week!